Fishermen who use large soft baits have been looking for a large, super-strong, long-shank weghted hook for Texas-rigging their baits This is it! 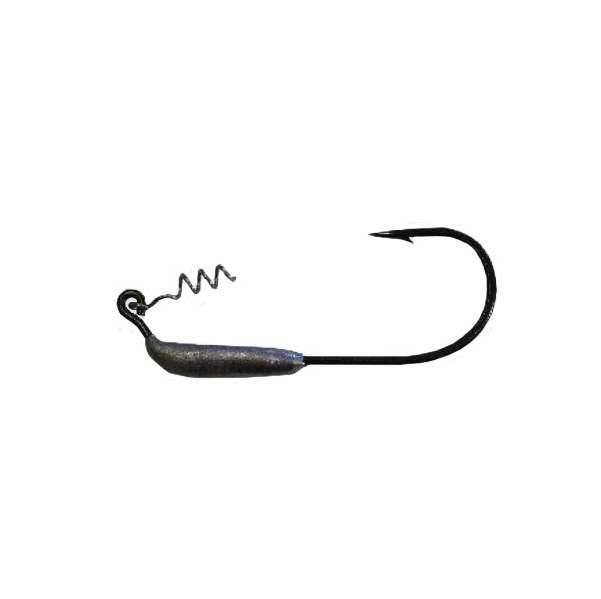 A super-sharp 10/0 hook with 3/8 ounce of weight molded to the hook shank. 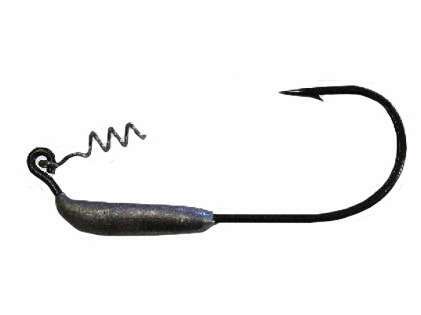 Fishermen who use large soft baits have been looking for a large, super-strong, long-shank weghted hook for Texas-rigging their baits This is it! 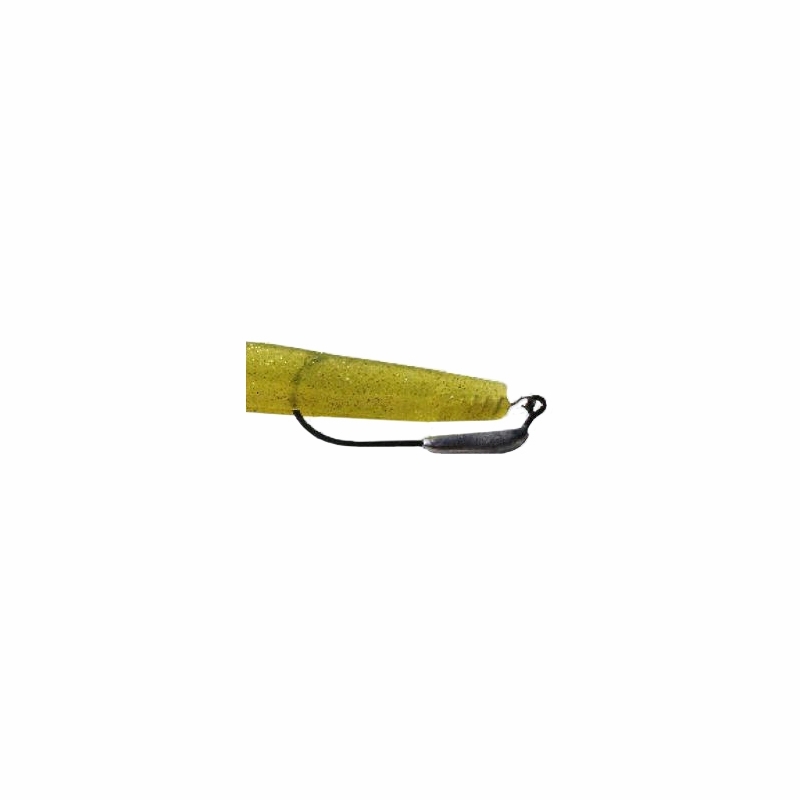 I use this hook for 10-12" soft plastic baits made by Hogy or other brands like Sluggos. I like the weedless aspect which allows me to fish this in rocky areas without as much risk for getting hung up. The reason I gave it 4 stars instead of 5 is the price. Designed for swimbait plastic. Just like fin s .
works with spring secure the plastic on the hook. added weight make the plastic stand up. Very good hooks and they are weighted. They are big enough for 10" sluggos and Hogy lures and they last long without rusting. Works well with hogy 14 inch as well as sluggo 9-10 inch..
seems like 1/4oz weightadd to about 1oz sluggo 9inch makes erfect casting weight.. This hook is super strong and perfect if you want a seedless presentation. I recently bought and used these for the first time, and I can see why they are so popular. Rigging soft plastics is a no-brainer with this handy contraption. My only complaint is that the price is a bit steep for a package of two. Other than that I love it. ProsVery user friendly. Rigging for dummies. ConsA bit on the expensive side.